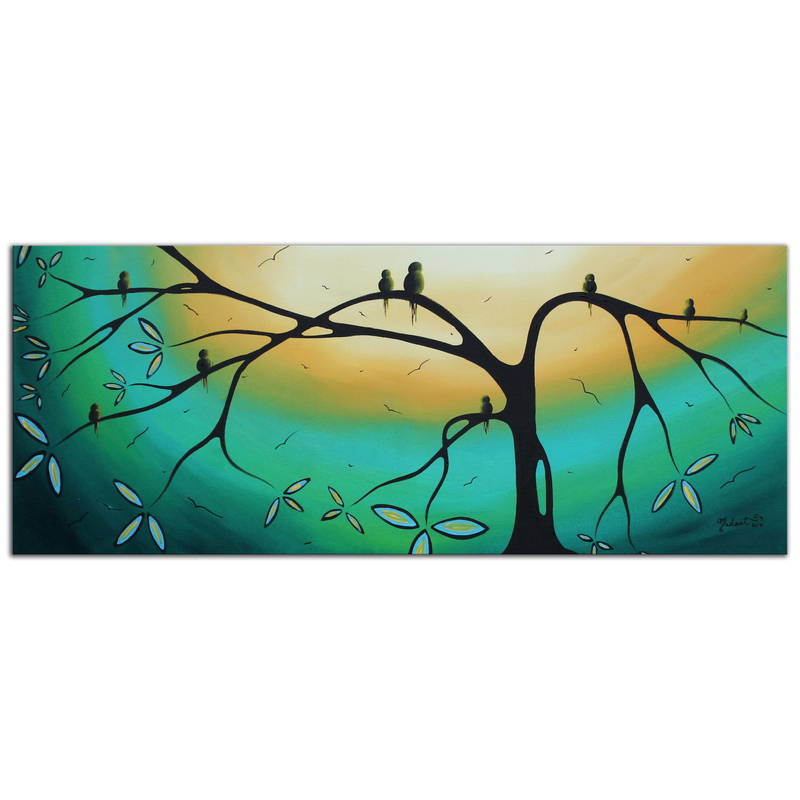 The 'Family Perch' is a soothing, feel-good painting by Megan Duncanson. 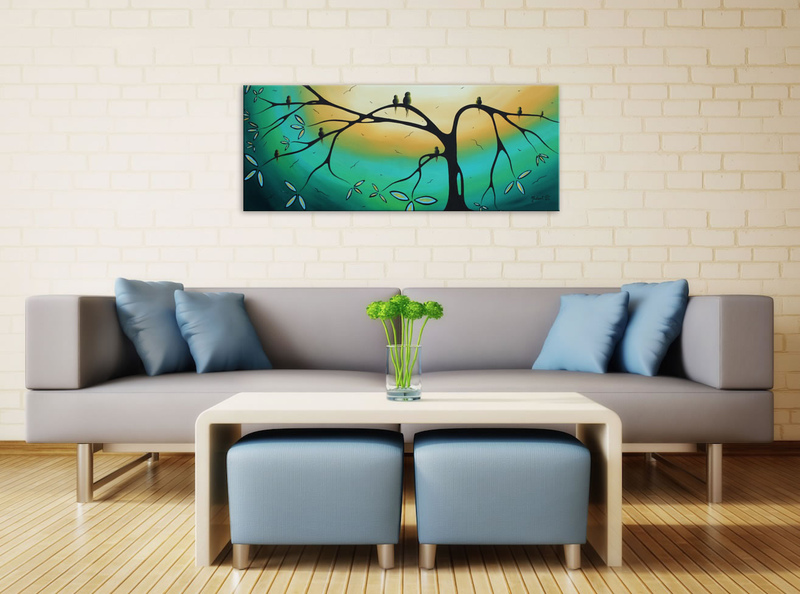 It features a family of birds perched in an abstract tree, who's smooth trunk and long, curving branches are in silhouette. Several birds sit scattered throughout the branches, enjoying the sights and sounds of the setting sun, watching their fellow aviators flying off in the distance. The otherwise barren tree branches offer an unexpected pop of color, with blue and yellow elongated leaves sprouting at their tips. The gorgeous combination of cool blues, warm golden yellow, and pleasant landscape just exudes relaxation, like something reminiscent of a day spa.